Are you considering hiring a pianist for your wedding? 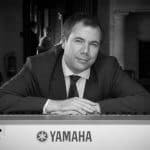 I’m Simon Jordan, a professional wedding pianist, performing at about 50-60 weddings a year: I can play for your ceremony, reception or wedding breakfast – thanks for visiting my site! I started playing piano at age six and have not spent a day away from the instrument since. 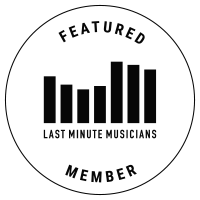 I grew up surrounded by music and musicians and, at 12, I was studying at the Royal Academy of Music every weekend and I played throughout my teenage years in recitals, pubs and clubs. A music degree and two decades at BBC Radio 3 followed, until I seized the opportunity to perform full-time, on cruise ships, in the famous concert halls and hotels of London, and for the Prime Minister every Christmas on the piano at Chequers.